The deadline for allocating the capacity is 2 July. The auction was called in December 2018 and is supported by €80 million invested by EU regional development fund, FEDER. Unconfirmed reports suggest at least one offshore turbine is among the bids. This follows the installation Spain’s first offshore turbine, a floating Siemens Gamesa prototype installed off Gran Canaria, generating power since March this year. The regional government has not yet confirmed either an offshore presence in the auction or the total overall capacity bid. It has confirmed, however, that it aims to call another round of bidding before end-2019, for an as-yet-unspecified amount of capacity from different renewables technologies. That funding is managed by the central government’s energy efficiency agency IDAE, which set the auction rules. "IDAE's rules are clear and demanding, requiring project bids to be already solid," explained Raul Macias of German turbine manufacturer Enercon, which is advising wind developers on the islands. Enercon has installed 239MW of the Canary Island’s 431MW of cumulative wind capacity total and, in January 2019, opened a logistics and servicing centre on Tenerife. 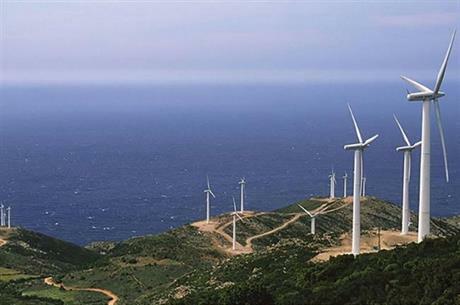 The rules aimed to avoid the flaws apparent in the Canaries’ previous 436MW auction, in 2016. While oversubscribed, that auction saw only 261MW finally under construction by the end-2018 deadline. The remaining 175MW failed, in part, due to the height restrictions imposed by the State Airspace Security Agency (AESA). AESA rules keep structural heights low; often below 100 metres, including turbine blade tip heights. "Height restrictions reduce turbine efficiencies and returns on investment. "That is in addition to land restriction on the islands, not to mention restricted services such as trucks and cranes, all keeping economies of scale low," said Macias. Macias did not expect many bidders to have offered large discounts on the maximum available FEDER subsidy.